When: Thursday, January 17, 2019, 4:00 p.m. - 7:30 p.m. 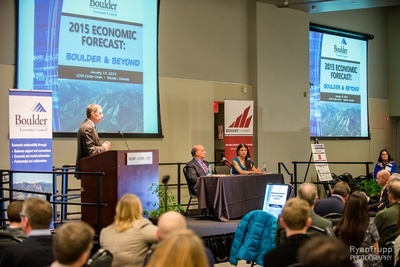 The Economic Forecast: Boulder & Beyond is the annual economic and business outlook event featuring nationally-recognized economists highlighting the most up-to-date economic statistics and trends for the Boulder area. 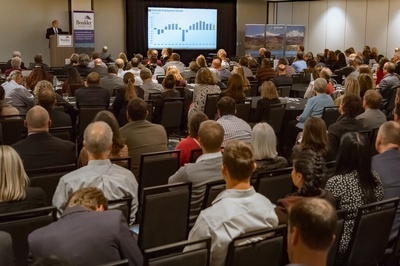 The 2019 Forecast includes the popular keynote presentation by CU Boulder economist Dr. Richard Wobbekind. 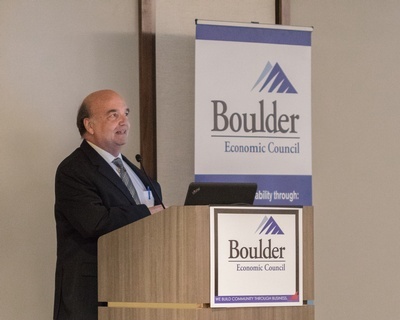 Also speaking will be Shannon Block, Executive Director of Skillful Colorado. Dress is business casual. There will be included appetizers and beer/wine post-presentation for attendees to enjoy while networking. Enter garage on righthand side once you pass Embassy Suites. Remit ticket when entering garage. Parking Stickers will be handed out at Check-In to ensure $5 parking. Three options to pay when leaving: Pay CASH ONLY at the front desk; Pay with a credit card at the elevator kiosk ; Pay with a credit card at kiosk when leaving the parking lot.